LoopUp. Less Mess, More Meeting. Conference calls and online meetings are painful, but they don’t have to be. 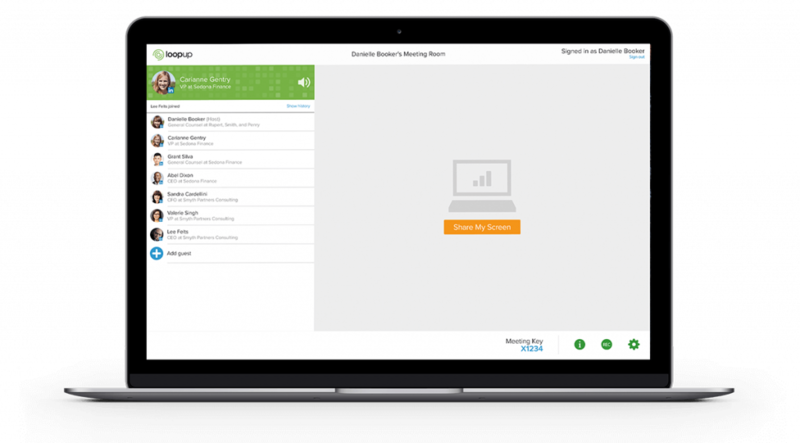 LoopUp solves classic conferencing frustrations for over 1,800 organisations. Simple user interface requires no training. Integration with industry-leading smartphone apps, Outlook and common Web browsers. Always know who’s on your call. Add or mute participants with a single click. Schedule meetings in just two clicks. Let LoopUp call you when its time to join. LoopUp are an approved G-Cloud supplier. Find us on the on G-Cloud 10 Digital Marketplace.